Ever since Meghan and Harry announced they were expecting their first child, rumours on what the pair could call their baby started to swirl. Current favourites for bookies are Diana, Victoria, Alice and Alexandra for a baby girl, and Albert, Arthur and Philip for a boy. But doting grandfather Prince Charles has weighed in on what baby name he thinks Meghan and Harry will go for. During a reception celebrating the centenary of Australia House, the royal revealed that the expectant mum and dad were indeed inspired by their time in Australia during the recent tour and could potentially pick a name from Down Under. He said, “Incidentally ladies and gentlemen my son Harry tells me that during their recent tour of Australia, he and his wife were offered countless thoughtful suggestions for the naming of their forthcoming baby. “Just between us, I suspect that Kylie and Shane may possibly make the shortlist. We still have a while to wait until we find out what moniker they pick, as Meghan’s due date was announced as being in spring. 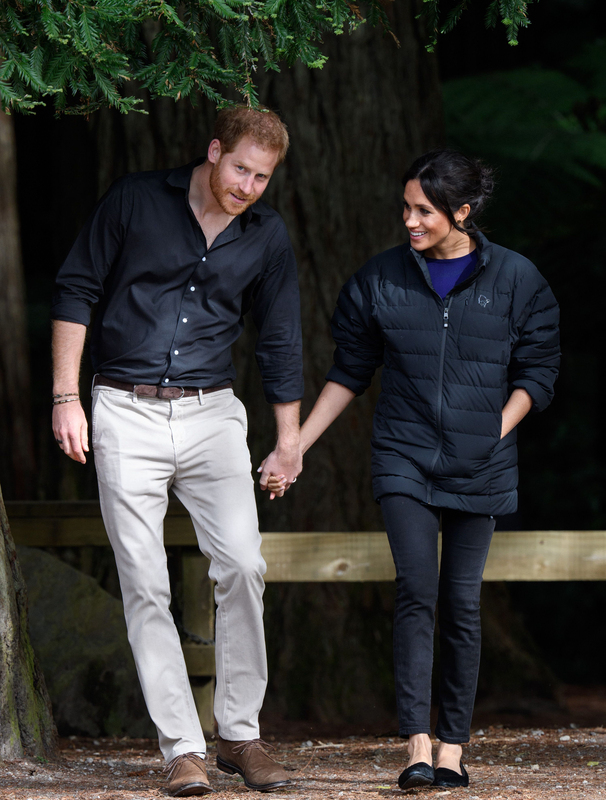 After the birth, they won’t immediately announce the name either as royal couples usually wait a few days until the big announcement according to royal tradition. Royal expert Victoria Arbiter recently explained that Meghan and Harry will have to wait until they’ve told the other members of the royal family what name they picked before they announce to the rest of the world. The royal expect told Town and Country, “The reasoning is perhaps two fold. On one hand there’s a desire to inform the families before a public declaration is made and any new parent appreciates having a little private time to get to know their new addition before the onslaught of announcements.